Today I'm hopping again with all my designer friends at FaveCrafts blog. We all share a project finished on the 15th! I don't know what the weather is where you live, but its hot here! Sitting in my cool studio (thank God for AC) I decided to create a layout with some spring (cooler) photos. We went on a trip to see the flowers bloom and my two boys, who love flowers, wanted a photo with each flower they saw. You probably ask yourselves a flowery layout for boys? Yes! Why not?! I have told my opinion on that question before, flowery layouts can work for boys just as well as they work for girls. I used Prima pattern papers: "reflections" for my background and cut flowers from "Kashana" paper. I added a few flowers and buttons to complete the layout. 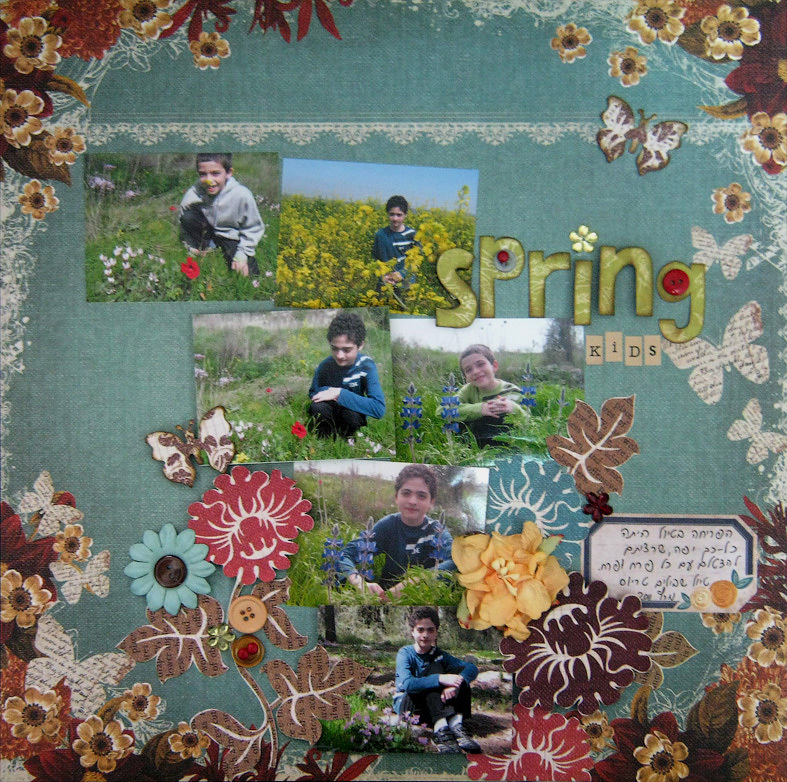 If you combine "boys" colors background like blue, or turquoise with red, yellow or green flowers you can create great flowery layouts even for boys! To see more wonderful creations and get lots of inspiration keep on hopping! Just click on the blog hop button below. I love it! I use flowers too since I have two boys and no girls.